Effective mobile app marketing & advertising strategies play an important role in bringing in quality users and remain cost effective. 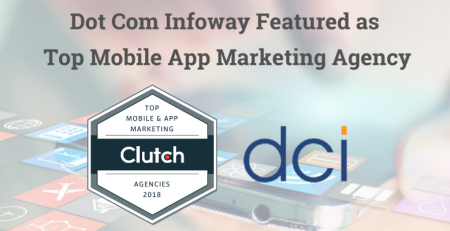 To help our community of app developers with best practices and expert insights, Dot Com Infoway has recently started featuring expert insights from thought leaders of the industry. In the latest installment of the series, experts predict how mobile app user acquisition will evolve in the upcoming year. Florian spearheads Jampp‘s growth in EMEA and APAC as the company’s MD in Germany. He is based in their Berlin office. Having previously co-founded TradeMob, and with more than a decade’s experience in mobile, Florian has been at the epicenter of the mobile app marketing landscape since 2005. He was among the first to introduce mobile app tracking technologies to the industry, pioneer an AppStore ranking strategy, and successfully apply retargeting to mobile apps. He is an active investor in the mobile and tech startup scene. And passionate about kitesurfing. 1. What’s the biggest misconception when it comes to marketing an app? “User Acquisition is achieved with an install”. That’s a big misconception. 98% of users who install an app never make the first purchase. The only way to achieve a sustainable App Marketing Strategy is to combine App User Acquisition with Retargeting in a systematic and tactical way. Still, marketers still think of Cost Per Install (CPI) as a basic “currency” for acquisition. But an install is no more than a new visitor at your storefront window. Congrats! But now you still need that user to come in and BUY! At Jampp we’ve stopped looking at installs as a primary metric since we feel that only a user who has converted to your business model and generates revenue really qualifies as a new user. Advertisers should focus on their cost per first order/ride/checkout. However, even once you’ve succeeded in obtaining a new customer, your work isn’t finished, because the competition isn’t idle. 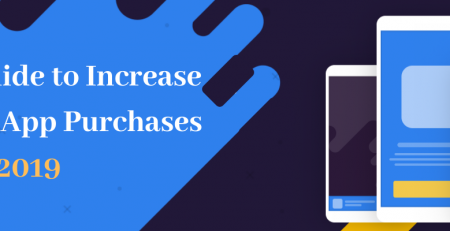 Locking in new loyal users usually involves repeated transactions and successful advertisers will tackle a conversion chain along winning, binding and retain users. At Jampp we dig deep to analyze your data and understand the ideal frequency, timing, and creative message to make sure users come back and don’t churn away. Another misconception is the notion that CPI is an efficient pricing model for advertisers. Truth is, no matter how you pay, you will always compete on an eCPM level (note: this refers to the effective CPM for the publisher). Since a CPI pricing model focuses on an install, and not necessarily a true client interaction, it incentivizes publishers to implement fraudulent activities like click-spamming, bot farming, and many others. Most of these fraud techniques are designed to “produce” a last-click and “steal” a conversion from either your organic user base or even from other publishers who had meaningful customer touchpoints. Fraudsters get the attribution and all the pay. Quality publishers with valuable client interaction are not getting paid and eventually move away to other advertisers that yield higher (e)CPM. We actually designed an app from scratch, to test the actual impact of showing a creative and the results showed that 28% of users installed an app after seeing an ad, even though they didn’t click on it. If you pay CPI, you will pay for a lot of your organics, but you will lose that 28 %. 2. 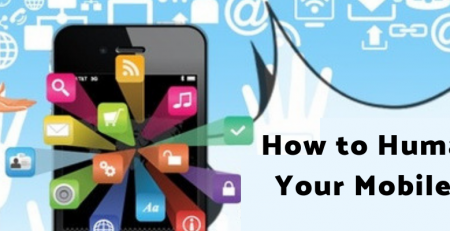 In your experience, what are the common hurdles faced by app marketers? In my opinion, that’s achieving transparency along the entire advertising supply chain: only once you understand where and how your suppliers are acquiring your traffic will you get a grip on fraud, navigate potential cannibalization of different channels and ensure your budget is optimally allocated. Whenever a supplier does not provide full transparency to its publishers or won’t share impression level data, you should ask WHY? I can assure you that there’s absolutely no technical reason to not share that data. Suspicious right? In order to track campaign performance, advertisers need to understand their different attribution models like Click To Action (CTA), View-Through Attribution (VTA) and Multitouch before comparing results from different channels (On that note, with a better understanding of tracking and attribution, advertisers will potentially be less trusting of self-attributing channels). The Facebook-Google-duopoly remains another fear factor. DSPs can help you to discover mobile display as a scalable, incremental channel. There’s increasing pressure to prove the return of advertising spends on large marketing budgets. Once you’ve cleaned up your data end2end, you can start measuring the uplift generated by your different channels. 3. What is your view on remarketing on mobile? Retargeting is just as important as User Acquisition. It’s truly an integral part of the mobile app marketing funnel: an install comes first, but retargeting helps with driving registrations, first orders, and building habits to establish a loyal customer base. 4. What are forms of advertising popular on mobile? Search and Social remain dominant channels particularly for early-stage advertisers. Once advertisers are ready to scale, they look into a mobile display for additional, incremental reach. New advertising formats like playable ads or video can be applied to both User Acquisition and Retargeting and are available at scale. Once again, think about different attribution models and consider View-through Attribution (VTA) to evaluate the real impact of each format/ creative type. 5. What are the challenges in the mobile app ecosystem as perceived by you? We need to achieve transparency across all players in the market. Only then will we eventually achieve reliable fraud detection, understand the true cost of CPA given the high rate of organic attributions and be in a position to allocate budgets efficiently across channels. 6. 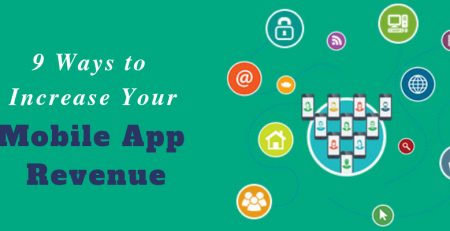 How do you evaluate the success of Re-Engagement for any apps? Advertisers have different metrics to evaluate the success of re-engagement campaigns, and obviously, success looks different for different apps. The success of our campaigns is always judged by our clients and their respective goals. Our data science team has done extensive research and testing to develop an Uplift Methodology that allows us to evaluate the impact of our advertising efforts based on our client’s KPIs. 7. Some key trends that will drive the industry in upcoming years are? We believe that programmatic is the future of any app marketing initiative: advertisers will increase mobile reach on Real-Time Bidding (RTB) sources, both for the increased transparency and leverage machine learning technology to allocate budget programmatically/ more intelligently. We’ll see more marketers running programmatic User Acquisition and Retargeting Campaigns simultaneously. The advent of machine learning technology to optimize campaigns towards ROAS and LTV rather than just CPI. Advertisers know that they have different “buckets” of users, predictive technology enables them to predict the value of each user and invest accordingly. Being able to design and efficiently test rapid variations of creative banners remains a pain point for many advertisers. Thankfully technology can help with that and understand the importance of creatives and invest in creative testing will be increasingly pivotal in gaining the competitive edge. We’ve built several tools to help advertiser programmatically design, deploy and test new creatives at high frequency and use insights for campaign optimization.